Investigative journalist Dilyana Gaytandzhieva says arms manufacturers mainly from the US, Israel and the Balkans have managed to transfer hundreds of tons of weaponry to terrorists under the cover of diplomatic flights. Bulgarian journalist Dilyana Gaytandzhieva, in an exclusive interview with FNA, said that Azerbaijani Silk Way Airlines received diplomatic clearance to transport hundreds of tons of armaments to different locations around the world which finally ended up in the hands of terrorists and rebel groups. According to the journalist, Azerbaijani embassies requested diplomatic clearance for Silk Way Airlines’ flights to transport the military cargo. “The requests for diplomatic clearance included information about the type and quantity of the dangerous goods – heavy weapons and ammunition. However, the responsible authorities have turned a blind eye and allowed diplomatic flights for the transport of tons of weapons,” she added. Dilyana Gaytandzhieva is a Bulgarian investigative journalist. In December 2016, she visited liberated neighborhoods of Aleppo where she found Bulgarian-made weapons inside underground warehouses belonging to terrorists. She felt suspicious and traced those weapons to its Bulgarian manufacturer realizing that they were legally exported to Saudi Arabia, which in turn supplied them to terrorists in Syria. As a result of further investigation she discovered that this was just a small part of a bigger international scheme. FNA has conducted an interview with Dilyana Gaytandzhieva about the result of her investigation into the use of diplomatic flights for supplying weapons to terrorists. Q: You published an investigative report in July about weapons shipment to different conflict zones around the world by Azerbaijani Silk Way Airlines under the cover of diplomatic flights. Could you let us know the origin and destination of these weapons and those responsible for their supply? According to the documents, which were leaked to me, Silk Way Airlines offered diplomatic flights to private companies and arms manufacturers from the US, Balkans, and Israel, as well as to the militaries of Saudi Arabia, UAE, and US Special Operations Command (USSOCOM), and the military forces of Germany and Denmark in Afghanistan and of Sweden in Iraq. Diplomatic flights are exempt from checks, air bills, and taxes, meaning that Silk Way airplanes freely transported hundreds of tons of weapons to different locations around the world without regulation. They made technical landings with stays varying from a few hours to up to a day in intermediary locations without any logical reasons such as needing to refuel the planes. 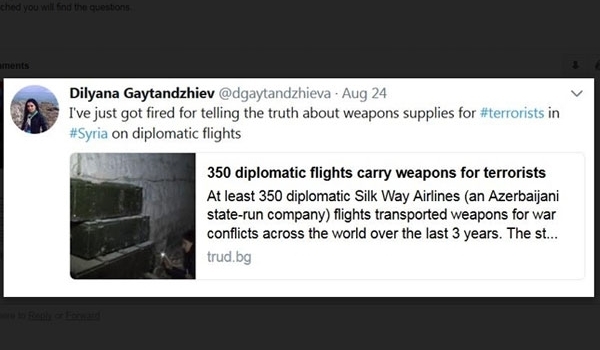 Among the main customers of the “diplomatic flights for weapons” service provided by Silk Way Airlines are American companies, which supply weapons to the US army and US Special Operations Command. The common element in these cases is that they all supply non-US standard weapons; hence, the weapons are not used by the US forces. According to the register of federal contracts, over the last 3 years American companies were awarded $1 billion contracts in total under a special US government program for non-US standard weapon supplies. All of them used Silk Way Airlines for the transport of weapons. In some cases when Silk Way was short of aircraft due to a busy schedule, Azerbaijan Air Force aircraft transported the military cargo, although the weapons never reached Azerbaijan. Q: As you mentioned, diplomatic flights are exempt from cargo checks, air bills, and taxes. How did these flights manage to receive diplomatic clearance with the military cargo on-board? According to the documents, Azerbaijan’s Foreign Ministry has sent instructions to its embassies in Bulgaria and many other European countries to request diplomatic clearance for Silk Way Airlines’ flights. 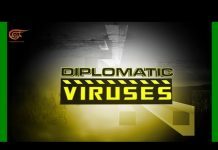 The embassies sent diplomatic notes to the foreign ministry of the relevant country to request such exemption. 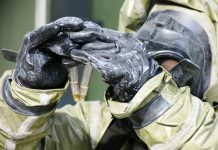 The foreign ministry sent back a note signed by the local civil aviation authorities giving exemption for the transportation of dangerous goods. The requests for diplomatic clearance included information about the type and quantity of the dangerous goods – heavy weapons and ammunition. However, the responsible authorities of many countries (Bulgaria, Serbia, Romania, the Czech Republic, Hungary, Slovakia, Poland, Turkey, Germany, UK, Greece, etc.) 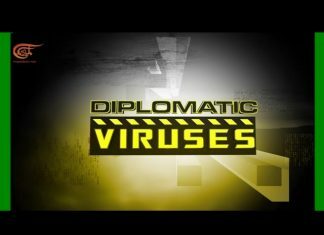 have turned a blind eye and allowed diplomatic flights for the transport of tons of weapons, carried out by civil aircraft for military needs. Under IATA regulations, the transport of military cargo by civil aircraft is not allowed. To get around this legality, Silk Way Airlines applied for diplomatic exemption through local agencies. Q: You yourself visited Syria’s Aleppo last year and gathered information first hand in addition to the information you obtained via documents received from your sources. Please share with us a little bit of what you observed there in Aleppo and what made you investigate further? These weapons ended up in the hands of terrorists in Syria and Yemen. I filmed myself 9 underground warehouses full of 122 mm rockets with Bulgaria as their country of origin in Syria after Al Nusra Front (Al Qaeda affiliate in Syria) retreated from their positions in Eastern Aleppo. When I got back to my country I traced back this shipment and it turned out they are just a small part of a bigger international scheme. 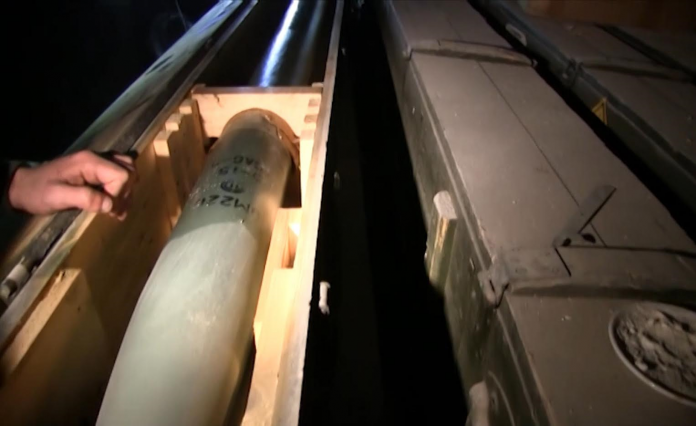 These weapons were transported by private American companies under a covert CIA program for armament of Syrian rebels. Those were not moderate opposition as the US government claims. Those were Al Qaeda terrorists. Besides my footage from Aleppo, Eastern European weapons can often be seen in the hands of ISIS in Syria, Iraq and Yemen in their propaganda videos and photos. This is how the weapons were transported – on diplomatic flights and I saw myself these weapons with Al Nusra Front in Syria. Q: You were interrogated by security officials and dismissed from your job after your report was published. Why were you interrogated and were you presented with any explanation by your employer about your dismissal? The Bulgarian National Security agency launched an investigation into the leaked documents but not into the content of the documents and my investigation. They wanted to know the source of the information I obtained. Few hours later my contract with the newspaper where I worked was suspended without explanation. Yet I have no answer. I was about to go to Syria to continue my investigation on the ground and all of a sudden, my contract was terminated without a reason. Maybe they did not want me to continue my investigation and to make further revelations.